Have a lot of workloads to migrate to the cloud? Modern Infrastructure readers recommend CloudVelox, whose One Hybrid Cloud Platform is designed to save users both time and money when migrating workloads to the cloud. 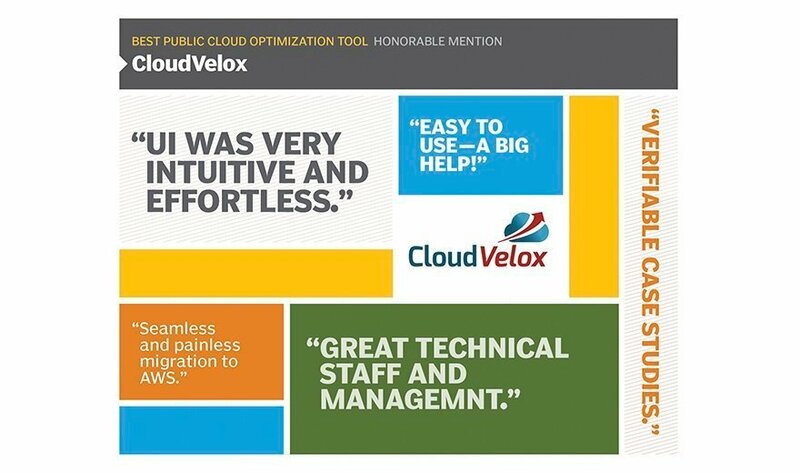 CloudVelox's software, for instance, significantly reduced the time it took to move a production web site for a leading hotel chain -- Hyatt.com -- to the cloud, said Doug Lionberger, managing director at Candor Technology Solutions, a cloud consultancy based in Naperville, Illinois, and previously the director of e-commerce, cloud services and DevOps for Hyatt. "The CloudVelox software mapped the environment, blueprinted the environment and migrated it to the cloud in about eight days," Lionberger said, noting that, manually, that process would have taken weeks if not months. And if help is needed, the CloudVelox support team is quick to step up, he added. "It's one thing to have the software, but it's another to have the staff behind," Lionberger said. What is your biggest struggle when migrating workloads to the cloud? Migrating large amounts of data, and network latency. Messaging can be problematic. IT takes some work to get messaging working between cloud-based message queues like SQS and on-prem queues like JMS.